This was the biggest artillery operation of WW2. These battles took place during one of the worst European winters, on record. 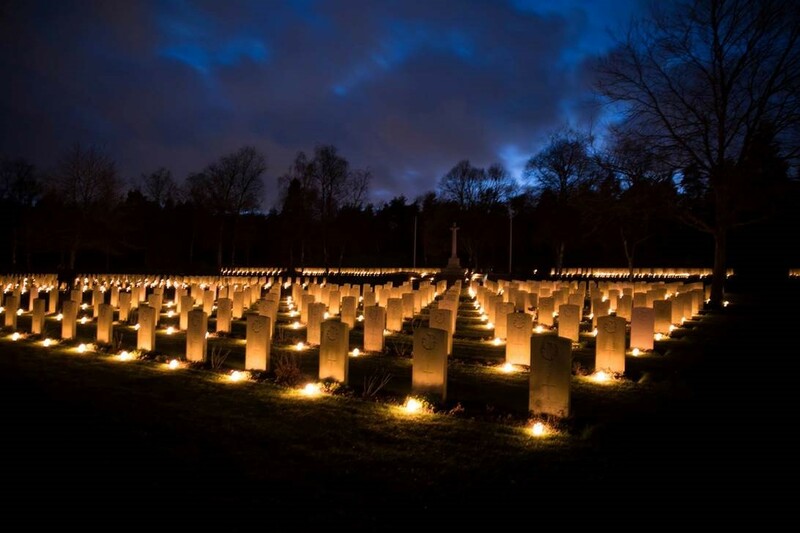 Little known, is that between the Battle of the Rhine and the Liberation of Holland, almost 4,000 Canadian soldiers were killed and are buried in Groesbeek and Holten Canadian War Cemeteries. We take you to the farm building where Sgt. Cosens earned his VC posthumously. At Rees, the North Nova Scotia Highlanders of 9th Brigade, experienced their second worst day of the war, around the village of Bienen. We will visit all the Canadian sites in these operations and much more. We will even visit the hotel and balcony where Churchill and Montgomery watched the assault on Wesel. We will visit the site where a USAF bomber was shot down, during Operation Varsity. 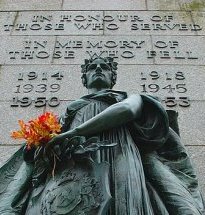 Following the conclusion of the Battles of the Rhine, the 1st Canadian Army was ordered on March 24, 1945, to turn back and commence with the liberation of Holland. Our tour follows the actions of 2 Canadian Corps. The liberation of Holland actually commences in Germany, where the Canadians first are tasked with the clearing and taking the city of Emmerich, then into Doetinchem in Holland, then a route that starts at Laag-Keppel, Hengelo, Vorden, Almen, the Twente Canal (where famous Canadian author George Blackburn earned his MC), Lochem, Laren, Arnhem (A Bridge Too Far), Zutphen, Deventer (where much of A Bridge Too Far, was filmed), Holten, Markelo. We will visit a few V1 launching sites. We also spend a day around Laren, where 30 Canadian soldiers were killed. Laren was home to a large Dutch resistance group and there are some fascinating stories about the bravery of these resistance fighters. There was also a number of fighter planes shot down in this area. The Laren history is exquisitely set out in an excellent book “War in the Corner”, by author Jan Braakman. We are good friends with Jan and he will be happy to work with us on this leg of the tour, by speaking to our tour guests. We are also members of the famous Dutch organization KTR (Keep Them Rolling). This organization consists of close to 3,000 members, who have restored WW2 vehicles to pristine condition. These vehicles are available for guests who wish to do a little traveling in a vintage WW2 vehicle. You can add an Operation Market Garden Tour, which must be part of the Liberation of Holland tour. As part of this tour, you will see the famous John Frost Bridge in Arnhem, made famous by the movie A Bridge Too Far. For a full understanding of this Operation, please click here.